Recent weather-related disasters have illustrated both the public’s reliance on cell phones for communicating in emergency situations, as well as the effect of widespread power outages on the cellular network itself. Cellular phones are no longer considered an additional method of communication for many people, instead they are their only means of communicating. The cellular network can be considered an important part of the public safety infrastructure. 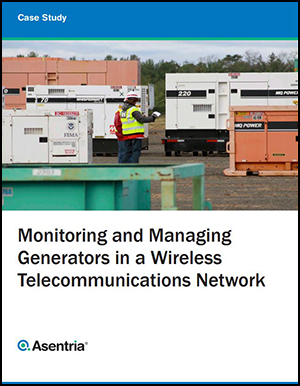 This case study describes what occurred to the cellular network in the northeastern United States during recent hurricanes, and the subsequent steps taken by one wireless network operator to improve the management of the backup generators and related systems on their network.